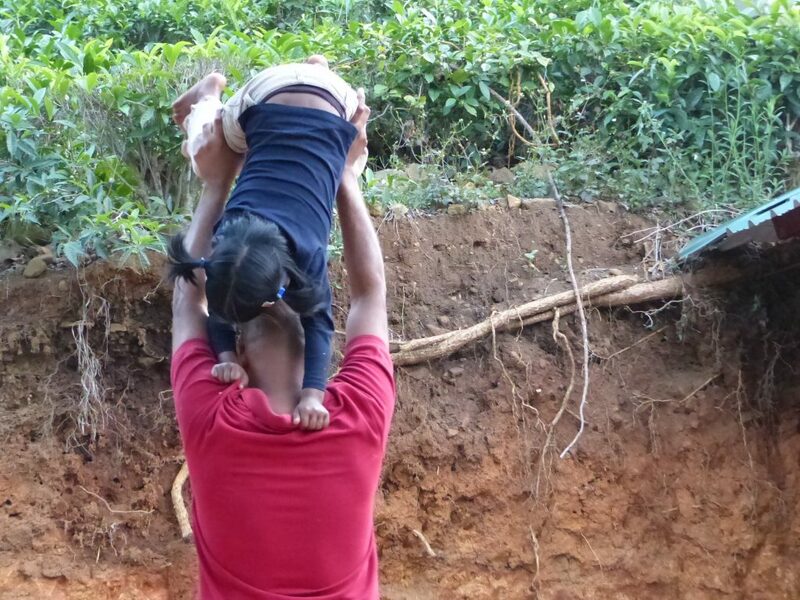 It takes a global village to raise a child. As parents, we are charged with the great responsibility of caring for our children’s physical, emotional, social, and intellectual development. And while we may be willing and have all the best intentions in the world, we are not without our concerns and fears, given a world that has changed drastically since we ourselves were children. Family structures have morphed greatly, crossing geographical, linguistic, cultural, and even gendered boundaries. There has been a loosening of old moral strictures (such as the old maxim Children should be seen and not heard), but an equal losing of traditional wisdom. Is it any wonder that in carrying out this incredible act of love on a daily basis, in addition to leading hectic work lives, as well as dealing with media that preys on the mental health of our children, parents today are stretched too thin? Parenting is a selfless act, but can we truly provide without having any sense of where our limits lie? As any parent who has run a full work day and come home to meet the needs of their children can attest to, sometimes we have run ourselves to the bone and provide nothing but tension, anxiety, and sharp words to those we love the most. 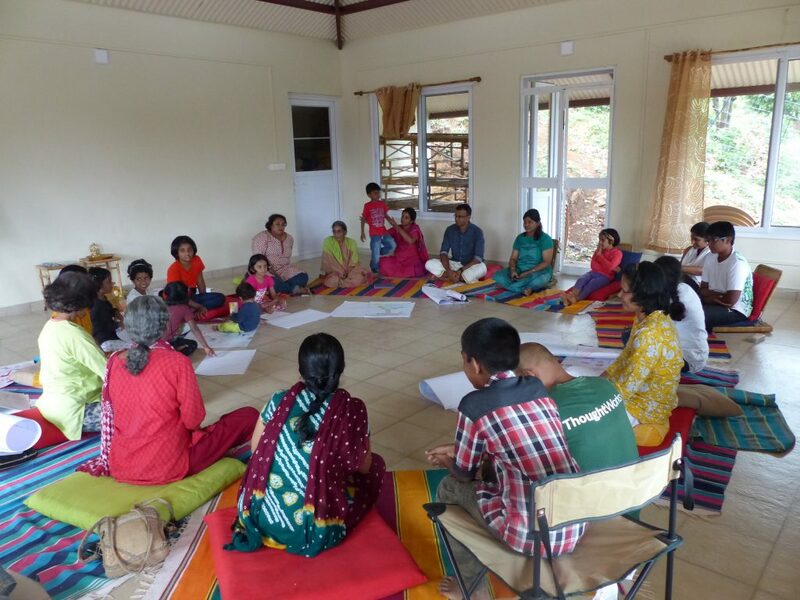 Ritambhara initiated a workshop called Parenting Inside Out, from May 18th – 21st, 2017, as a step towards creating a space for contemplative engagement about the challenges and possibilities of parenting in today’s world. What am I doing as a parent? What are my fears within the current context of our world today? What are my strengths and challenges as a parent? In what ways can I listen, help, and support my child better? What is the relationship between my well-being and parenting? The Parenting Inside Out workshop brought together two important areas for exploration – Yoga and Parenting. The workshop was facilitated by Anita Balasubramaniam, Radhika Rammohan, and Sashikala Ananth. The initial days were spent articulating the questions and concerns that participants had and examining the need to reevaluate and align one’s self. Almost immediately we could remark on how powerful a tool sharing is. The importance of listening to one another cannot be understated, and the magic of being heard brought forth its own miracles for everyone involved. The next days took an interesting turn as we examined how our perceptions are coloured by our conditioning. Each of us sees an experience as something other than what it is, due to the way we have been shaped by our own early experiences. In such times, holding our inner ground and staying present to the moment allows us to discard or deflect from old trigger patterns and explore new ways of responding to the situation. Our final days were spent examining the various voices and personas that colour our daily actions and responses. Sometimes, simply allowing ourselves to be vulnerable and access different emotions gives us respite from old patterns and unlocks healing and learning. Having their children in the space was a wonderful experience for the participants, as they brought much laughter and joy into the process. It was a chance for parents to engage with their children in different scenarios, and learn from their open hearts. 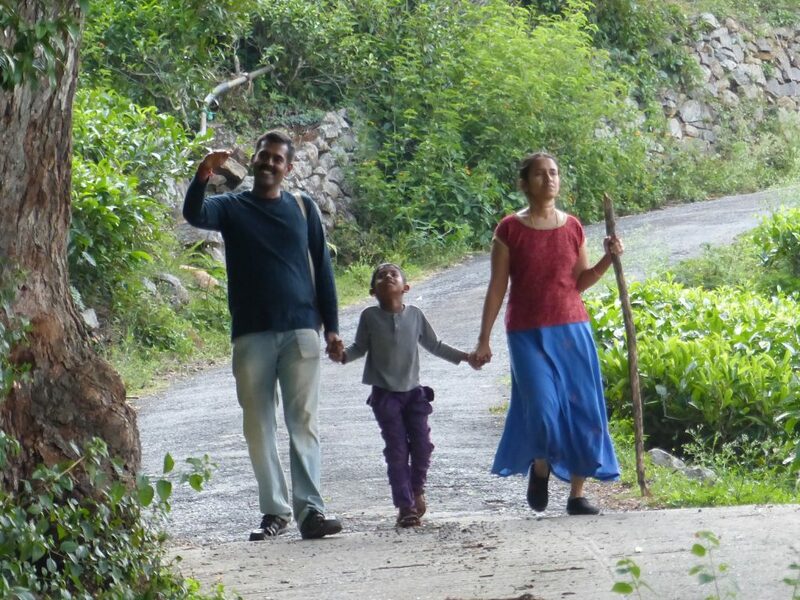 Each day at the retreat was organized in such a way that parents had some time to do reflective work and children and parents had some time together singing, playing games, taking walks, and just being with each other in the presence of mother nature. 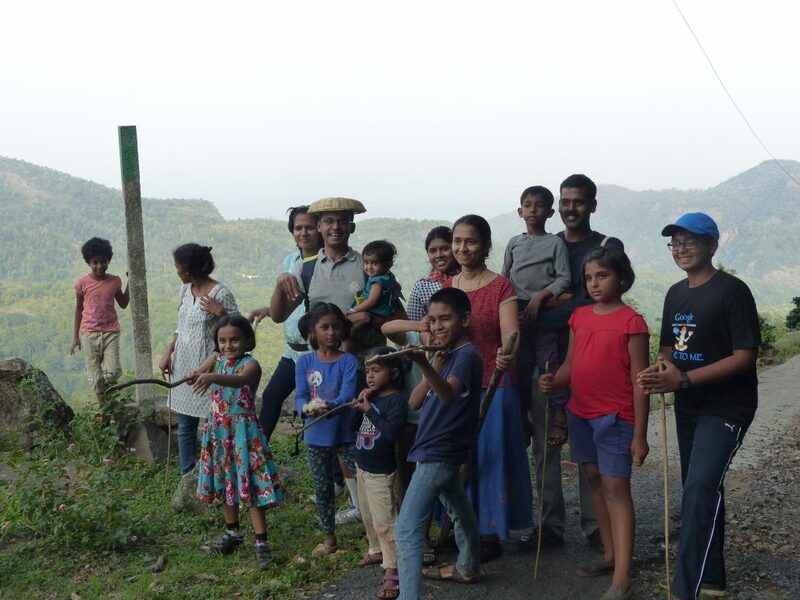 In this, they were guided and supervised by Dayalakshmi, our co-facilitator, whose presence was invaluable in caring for and supporting the children. Radhikha reflected on the experience : “The specialness of the retreat that just was, is difficult to recapture and replicate. 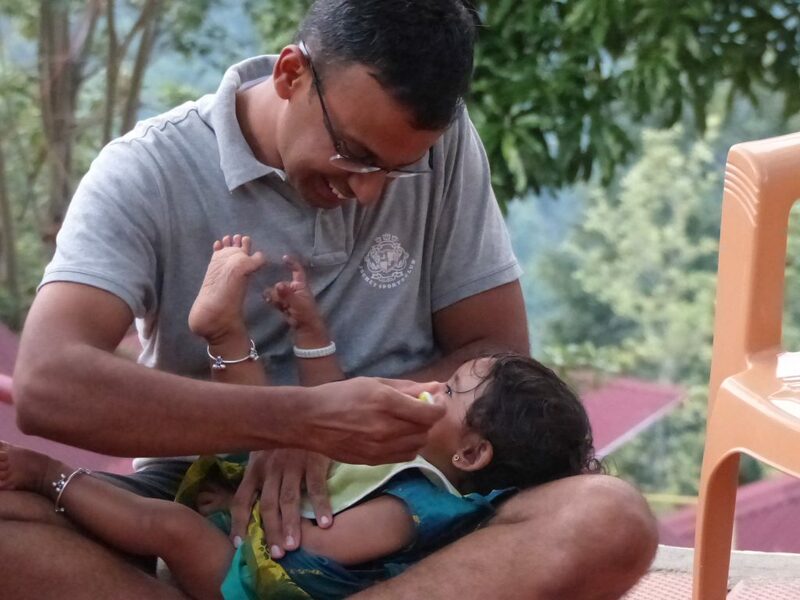 The silence of ritambhara ashram, the forests and hills witnessing this group of adults and children growing and playing together, the warm and deeply thought out holding of space that Anita did, the spontaneous, compassionate insights from Sashi… I thought it allowed us to touch deep parts of ourselves. And that we will continue to explore in greater depth for ourselves.” Anita’s experiences were beautifully crystallised in her post. Strengthened and grounded through Asana, pranayama and chanting practice, silent walks, mindful eating, reflective and experiential activities, and inspired by brief introductions to relevant ideas from yoga philosophy, the group emerged with a sense of deep hope for the future, and greater love and compassion for themselves and others.